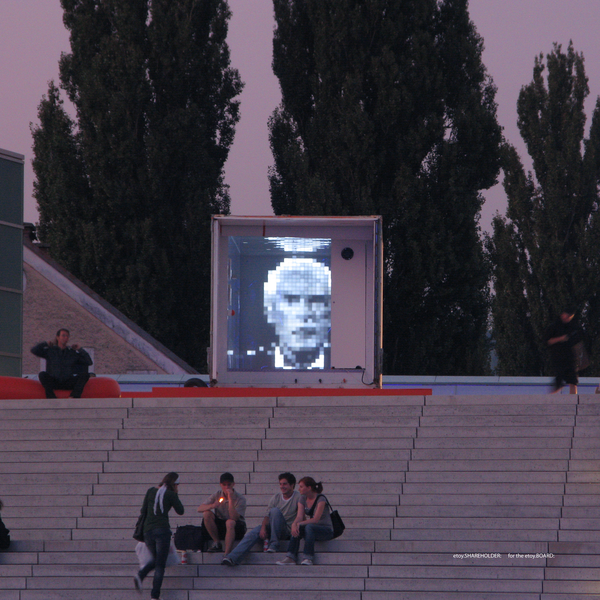 As part of the performances in Linz, on the roof of the ARS Electronica building, agents produced the third version of the TERMINUS that contains the human remains of Timothy Leary. The casting itself, that involved molding the human ashes and cement into a mold with the hexadecimal ID of Timothy Leary, was accompanied by the sounds of Tim & Puma Mimi. 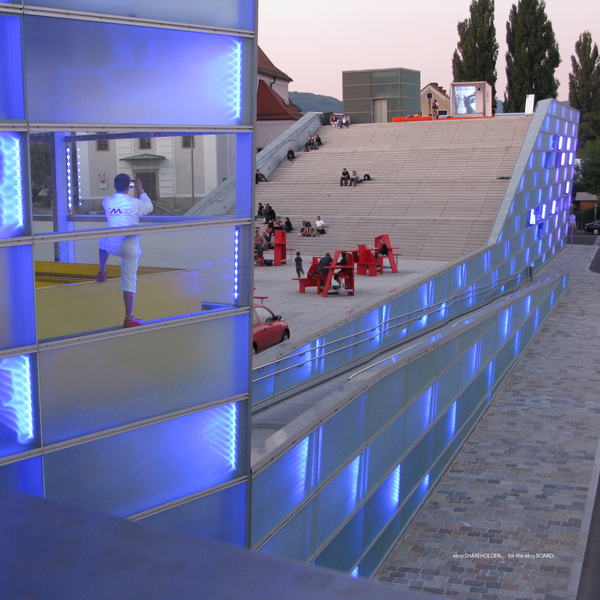 After a first TERMINUS had been produced in 2007, shortly after transferring the ashes from the United States to Switzerland, and a second test run in Madrid, a third test implemented insights regarding the cement mix and the quality of the cast form itself. Splitting the approximately 30 grams of ashes into three portions allowed learning and experimentation with a very sensible material. The learning about how to produce a TERMINUS is doubly invaluable given the fact that etoy agents did not know Timothy Leary personally and could relate to this inspiring figure intellectually rather than emotionally. With test pilots who became personal friends, etoy envisions less scope for experimentation when it comes to the difficult task of working with the human remains.